Drones are a rapidly developing technology, and for good reason. Their hobbyist potential alone is enough to get manufacturers on board with innovation in the field, and the number of advantages they offer many companies the world over equates to quite a lot of media coverage. Of course, picking through all of this to find the most interesting pieces of news is difficult, which is why we’ve gone ahead and done it for you. So sit back, relax and soak in the top three wackiest, wildest and most wonderful drone stories in the news recently. Uber has been a smashing success due to its ability to get people where they’re going often at a much cheaper rate than a traditional taxi can offer. Of course, the company’s focus on low costs and technology in general has led to some exploration of self driving cars, but a recent article from Recode’s Kara Swisher has shown that the ride sharing service may quite literally have its eyes on the sky. During an interview, chief products officer Jeff Holden stated that Uber is looking into unmanned aerial vehicle taxis that would transport passengers around large cities. The technology they’re currently researching has to do with vertical takeoff and landing, and the goals seems to be creating a flying machine that would rely on multiple rotors. According to Swisher, the company seems to want to make this technology a reality in the space of the next 10 years, which is certainly optimistic. The 9/11 attacks are still fresh in the memory of many Americans, and having flying devices whipping around highly populated areas is probably going to get some blowback from both the public and U.S. regulatory bodies. However, if such a system were to be implemented properly, it would certainly allow for a massive decrease in traffic congestion. When it comes to commercial drones, there’s generally a tradeoff. Smaller devices allow for a lot more flexibility and speed. However, they generally don’t have all the extras that their larger cousins do. DJI saw this need in the market and decided to do something about it with the Mavic Pro. This particular device is heavily focused on the camera, allowing the average consumer to get some incredible shots. CNET’s Joshua Goldman reported that the drone can stream 1080p images directly to Facebook Live and YouTube, which is a fantastic quality for the hobbyist videographer. The Mavic Pro also has a range of 4.3 miles, which is quite the distance and can allow the pilot to receive some incredible shots, and can stay in the air for around 27 minutes. Of course, the main quality here is the drone’s size as well as what that means for overall performance. According to PC Advisor, the device weighs 743 grams, which is just over 1.6 lbs. This small size and low weight allows for speeds up to 40mph, a decent speed for a commercial drone. The Mavic Pro is also able to stay stable in wind speeds up to 24mph, making this a decently sturdy gadget. That said, all of these features come at a cost. The DJI Mavic Pro is currently on the market for $999, which is a little steep, but buyers will certainly be getting a lot of bang for their buck. As a cherry on top, the drone also completely folds up into a size that can be carried by one hand, making this the ideal gadget for pilots on the go. Everybody on the mainland dreams of living on the island at one point or another. 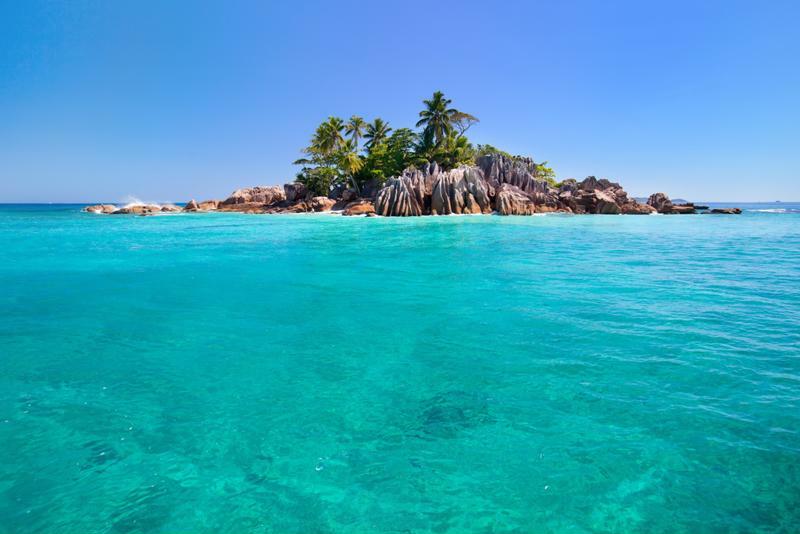 People think of the beaches, warm weather and beautiful blue lagoons to swim in. What they often don’t consider is how remote these locations are. Getting to these locations simply isn’t an effective use of a human’s time, but drones are perfect for the job. Small islands are beautiful, but getting there is difficult. According to Popular Science’s Kelsey D. Atherton, UPS will be working with CyPhy Works in order to utilize drone technology to deliver packages directly to island residents. Of course, this isn’t the first time a company has been interested in drone deliveries. Both Amazon and 7-Eleven have been working on this for some time. However, the idea of giving those living on islands another way to connect to the mainland certainly has some enormous advantages. The most obvious of these is medication and other life-saving supplies. A community cut off from boat landings would be at the mercy of disease if one somehow found its way on the island, and moving an extremely ill person is often not a good idea. In fact, this partnership between UPS and CyPhy doesn’t even have to be limited to islands. Those living in remote jungles or other areas where local transportation infrastructure doesn’t allow easy delivery could certainly benefit from a system designed to get them the supplies they need. While this project is still in the early stages, it has the potential to do a lot of good in the world.